Partnering leading global brands as an original denim manufacturer, Suryalakshmi Cotton creates value added denim garments in a variety of styles, colours and finishes. We are a major denim wear supplier to high street retailers, fashion houses and independent designers across the globe, for childrenswear, womenswear and menswear. Working in close collaboration with customers’ design teams, we cater to fast fashion requirements with quick turnaround times. At Suryalakshmi Cotton, product development is a continuous process across the denim manufacturing cycle. 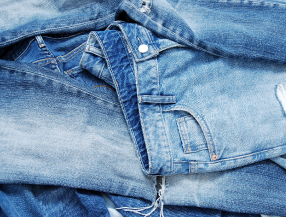 We draw insights from global fashion experts and trends in the denim industry to create different garment effects. Our garments undergo the highest standard of quality control at every step of production. With a dedicated merchandizing team combined with highly automated processes, we ensure consistency in quality and productivity. We recognize and act on our responsibility to respect worker rights across our garmenting operations and the entire denim supply chain.